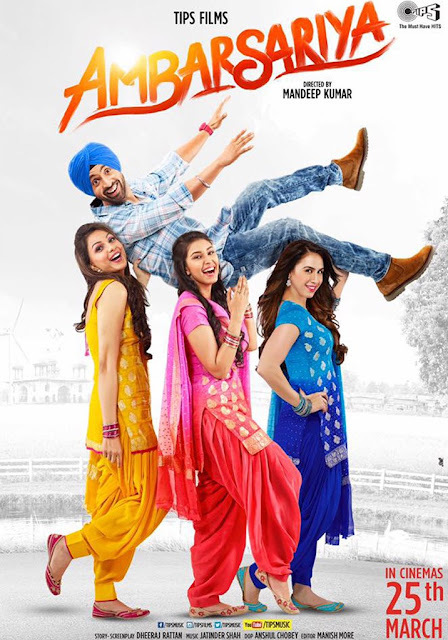 "Ambarsariya" is a comedy drama Punjabi film directed by Mandeep Kumar and produced by Tips Music, Movie starring Diljit Dosanjh and Navneet Kaur Dhillon in main lead roles. Poster of the film was unveiled on 6 January 2016, birthday of Diljit Dosanjh. Ambarsariya movies music are composed by Jatinder Shah for all soundtracks and singers are Diljit Dosanjh & others, and music album released under the banner Tips Music.